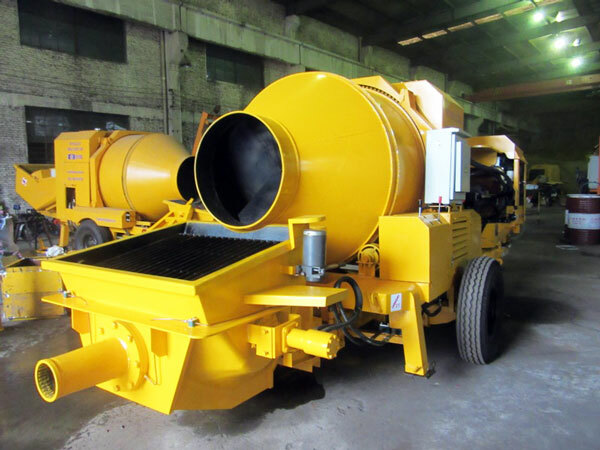 When it comes to cement mixer pump, there are two important words: mixer and pump. As a matter of fact, it is a mechanical equipment used for cement feeding, mixing and pumping at the same time. It can be used for new house building, construction about water conservancy, dam, village road, and foundation filling. You can tell different mixer pumps on account of the engine type. 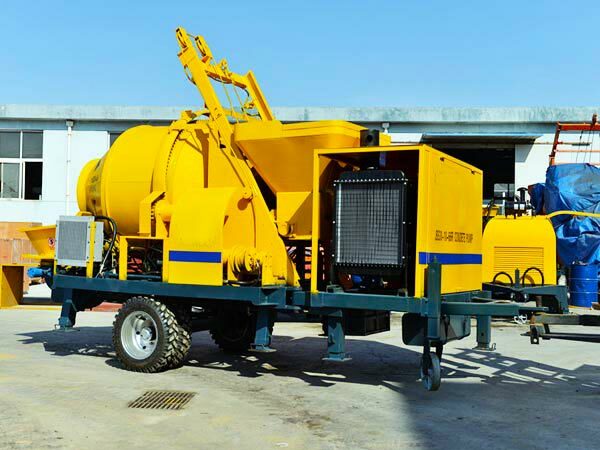 Cement mixer pumps include diesel mixer pump and electric mixer pump. 1. If the power system is diesel engine, then it belongs to cement diesel mixer with pump. We have HBT0804-JZC200, JBS30 series and JBS40series for you to choose. 2. If the power system is motor, then it belongs to cement electric mixer and pump. Electric mixer pump can be used in anywhere with electric power. However, in some remote areas where electric power are not widely used, diesel mixer pump is a better choice. There are HBT0804-JZC200 , JBS30 series and JBS40 series. 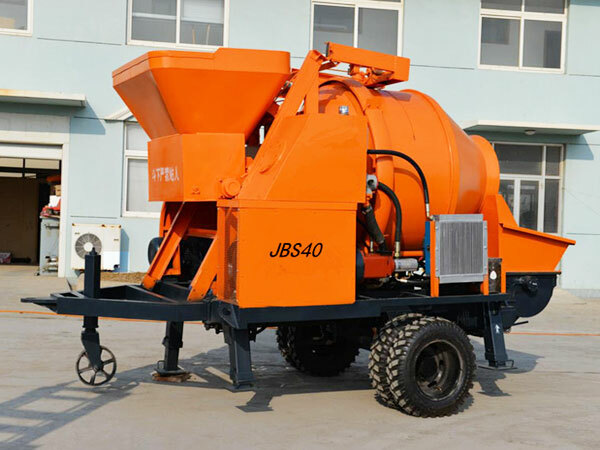 Among JBS40series, JBS40-JS500 and JBS40-JS750 are forced concrete mixing pump, which is more effective. When it works, the motor drives two stirring shafts to rotate in reverse direction in order to achieve uniform mixing and get a better stirring effect. Of course, we can offer you reasonable concrete mixer pump price. 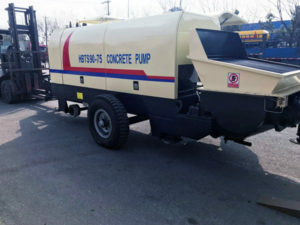 In addition, I’d like to introduce some advantages of our cement pump for sale. 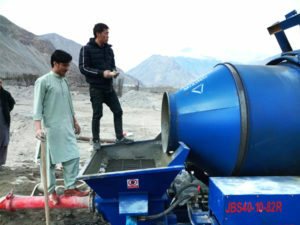 On the one hand, it increases efficiency by making mixing function and pumping function into one, which saves more time for other construction procedures. On the other hand, it also reduces labor cost. It needs less people to operate one machine instead of two. 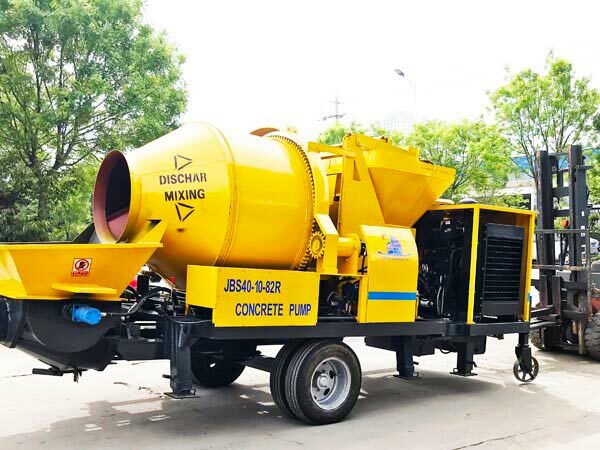 What’s more, in comparison with one mixer or one pump, cement pump with mixer occupies a less limited area and can be moved easily in order to apply it in different construction sites. Except from increasing efficiency and reducing manual costs, there are some subtle details on the machine. Firstly, the outlet hole is specially designed as the coarse type,which is wear-resisting and can prolong its service life. Secondly, the arch broken structure is equipped on the machine which can avoid the concrete plug,insuring the smooth working of the concrete mixer. Thirdly, the hydraulic pipe joints are products of American Eaton brand, insuring the safety and on leakage of hydraulic system. Fourthly, the main electric elements are from Schneider, the reliability of the electric control system is highly improved. Fifthly, the S valve of the concrete mixer with pump is cast into shape with Austenitic manganese steel which has long service life. There are six steps through the whole construction process. No.1 Drag the cement pump to the construction site with the help of a tractor. No.2 Set the cement pump at a proper place and then connect delivery pipe with the it. No.3 Feed concrete into the mixer. No.4 Concrete is mixing in the drum. No.6 Clean the pipe in order to avoid the waste of spare concrete or the blockage in pipelines. Among them, the process of pumping is rather complicated. I’m going to share the working principle of pumping system with you. 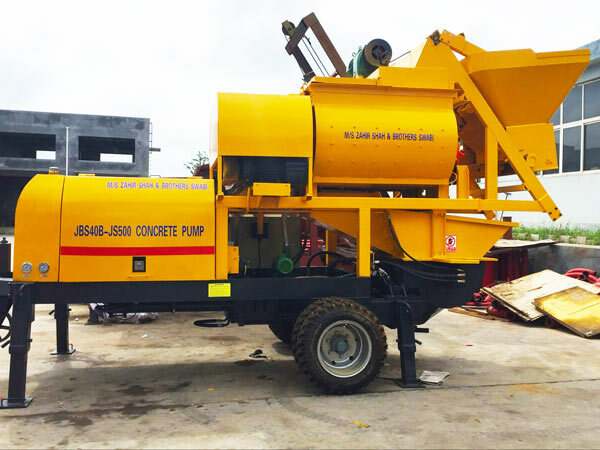 The concrete pumping system includes such parts: two main oil cylinders, water tank, reversing device, two concrete cylinders, two concrete pistons, a hopper, the S valve, swing arm, swing cylinder and outlet. The motor pushes oil pump to generate hydraulic pressure. And then with the help of hydraulic pressure, two oil cylinders start doing reciprocating motion, which drives the pistons to complete the processing of feeding and pumping. In the course of pumping, S valve plays a very important role. It is a small part in the hopper. 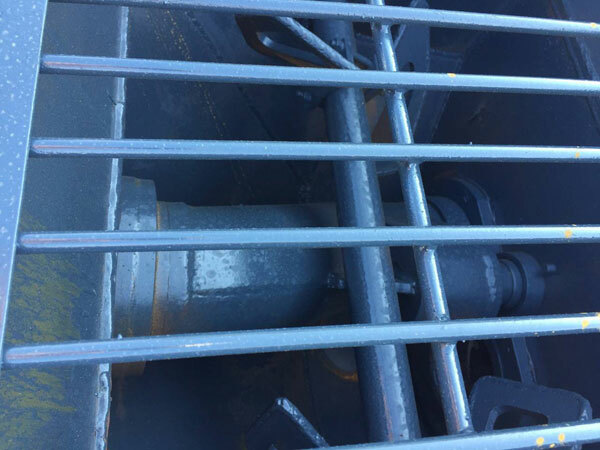 The hopper is responsible for making concrete getting into pumping system, meanwhile S valve is connecting with discharge port and in charge of pushing materials getting out of the pumping system. Aimix is one of the most professional concrete pump suppliers. 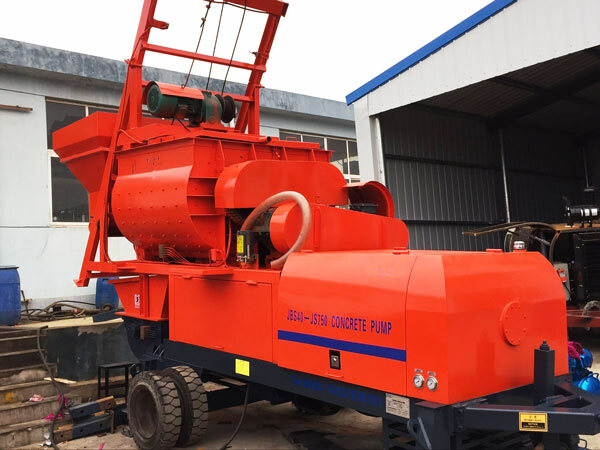 With advanced technology and well after-service, our products, such as cement mixer pump and cement pump, are popular in Russia, New Zealand, Philippines, Guinea, Romania, Pakistan,Ukraine, Boatswain, Uzbekistan, Kyrgyzstan, Oman, Inner Mongolia, etc. We are looking forward to your inquiry about cement pumping equipment.